Homes for Sale in Armagh Village are located just off Bellona Avenue in Towson, this small neighborhood of 65 single family homes has roots stretching back all the way to Ireland. In 1937, Edmund McGraw built the neighborhood and named its two streets Armagh Drive and Tyrone Drive, after the Irish counties where his parents grew up. Homes for sale in Armagh Village vary in styles ranging from cape cods, to Tudor, to center hall colonials. With just one way in and one way out you can imagine what a close-knit community Armagh Village is. Take a drive or better yet a stroll through their winding streets and you will see everyone from young couples, young families, to empty-nesters, to children playing or riding their bikes. While conveniently located to shopping, hospitals, bars and restaurants (its’ just minutes from downtown Towson), Armagh Village gives you the feeling that you are really in your own little village. A block party, food drives, and seasonal activities hosted by the active community association further to reinforce the sense of community that the residents have come to enjoy. 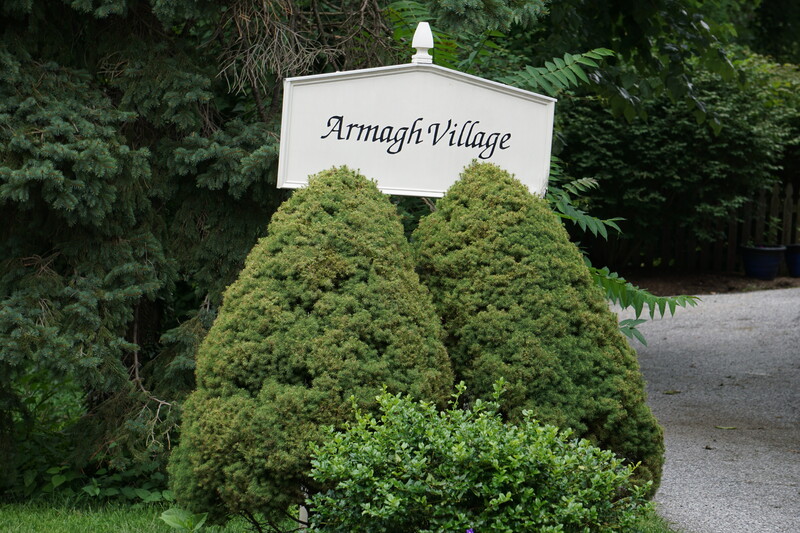 Ready to check out all that homes for sale in Armagh Village has to offer? If so, give me a call at 443-564-0952 or send me an email. I will be happy to create a free, no obligation automated home search for you that will deliver homes meeting your criteria directly to your email. Once you have identified the homes for sale in Armagh Village that you want to see we can schedule a visit. Beautiful Baltimore City renovation! Featuring gorgeous wood floors, exquisite ceiling detail and light fixtures, spacious bedrooms and closets, granite counter tops, & much more. Kitchen includes 42 cabinets, granite counter tops, new ceramic tiles, and stainless steel appliances. New bathrooms include new vanities, toilets, and ceramic tiles. Fully finished basement. New concrete driveway and front porch. Shed in rear provides extra storage. Large deck in rear! Must see!! Centuries Solid Cedarcroft Community Presents: Cute as a Button 826 Cedarcroft Road Bungalow. 2 Bedroom, 2 Full Bath With Sunroom/Florida Room, Formal Dining Room, Kitchen/Living Room, Expansive and Encompassing Second Level Master Suite, Lower Level: Office/Den, Laundry Center, Workshop and Storage. Recently Replaced/Improved: Gas Stove, Washer, Leveled Lower Level Floor, Recent Carpet, Privacy Fence, Interior Paint, Updated Lighting Fixtures, Bath Tile Floor, Quartz Countertops, HVAC w/Nest Thermostats 2019!! Traditional Meets Current - Open and Inviting Property. Sophisticated and Sleek. Hardwood Floors, Quartz Countertops, Stainless, Bright and Bold Covered Front Porch Meets Calm and Reflective Rear Yard Oasis. Invite a Crowd and Have Ample Space for All on Your Rear Yard Patio and Private Escape. Shed Offers Exterior Storage Galore! If You're a Loser You Will Be a Loser! First One Up Is the Best One Dressed! Early Bird Catches the Worm! Simply Stated... Hurry This Won't Last Long! Pretty as a picture and immaculate four bedroom, two full and two half bath porch front quintessential Homeland gem with two car attached garage. Spacious chef's kitchen boasts stainless high end appliances, custom cabinetry, island and an adorable window seat open to enclosed porch with french doors. Spacious bedrooms and updated baths on the second level along with access to massive third finished level complete with bedroom and sitting area. The finished lower level with laundry and family room area complete the interior of this beautiful home. Pristinely manicured fenced rear yard with blue stone patio and built in grill just perfect for summer entertaining! This charming 3 Bedroom Craftsman style home boasts a complete renovation, gorgeous interiors and meticulous landscaping. While maintaining its charming authenticity, this lovely home boasts all the modern conveniences. Living Room flows to a bright and cheerful Dining Room adjoining the eat-in Kitchen with stainless appliances and concrete counters. A Den with built-in cabinetry and shelving leads out to the large back deck overlooking the flat, fenced back yard and also enjoys an attached screened-in porch. The Upper Level features a Master Bedroom, Bath and two additional Bedrooms. Plentiful lower level storage. Fantastic, walkable location on a quiet street! Gracious and classic brick center hall colonial just 4 houses up from the Homeland Lakes. The first floor features a large living room with gas fireplace and built-ins, a separate dining room with molding, a kitchen with stainless steel appliances, a breakfast room/home office, and a huge family room with a wood-burning fireplace. The family room features French doors leading to a lovely stone patio perfect for dining alfresco. There are 4 generous size bedrooms all on the second floor. There's also a walk-up attic with loads of storage. The lower level boasts a 23 x 12 game room, a walk-in pantry, a powder room, a work shop, sewing room and plenty of storage as well. The large level backyard is private and is completely fenced. It~s within walking distance to Belvedere Square, Loyola and Notre Dame.